Spirals have always fascinated me. They are deeply rooted in the architecture of the universe and are often so familiar that we overlook them. 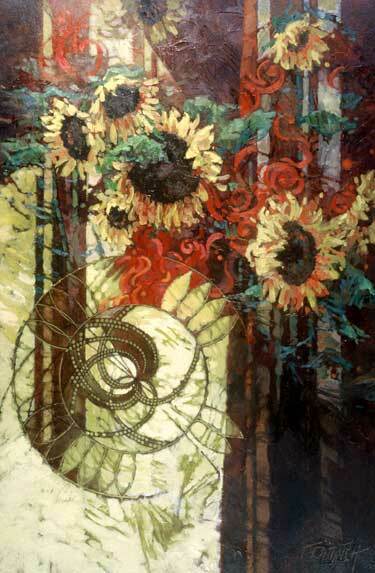 Aside from whirlpools and seashells, I wanted the viewer to consider the intricacies of design in the intersecting logarithmic spirals found within the center of the sunflower. Each little floret or seed is where two spirals cross. Within the sunflower I see echoes of the Master Designer Himself who has given thoughtful consideration to every shape with mathematical precision and to every nuance of color.